Suggested use: As a dietary supplement, take 2 to 8 drops per day. 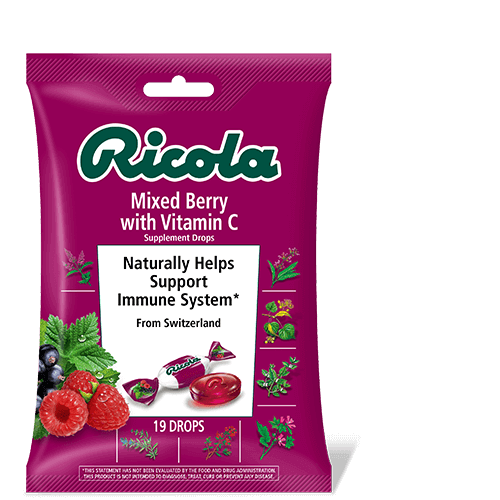 Ricola Mixed Berry with Vitamin C offers mouthwatering comfort for your throat. 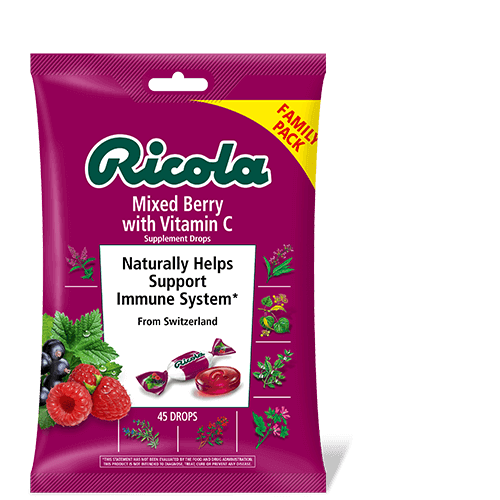 It’s made with real blackberry, blueberry and raspberry juice concentrates, plus the added immune boosting benefits of Vitamin C. All blended together with our famous Swiss mountain Herbs.